Love this. Determination of the Daffodils! Absolutely. Thanks for popping by! I love it when flowers/plants grow in strange places! Yes, so do I. Thanks for the visit, much appreciated. Really quirky and arty, time to dust off the patio furniture. Thanks Sarah for your comment. Yes, I saw the photo over a week ago, when the buds were just poking through. I thought aha, that’ll be a good pic when the flowers come out. So have waited, and waited, but when they finally bloomed the stems were another four inches in length, and it wasn’t nearly so interesting a shot as before because you can see too much of the chair. Should have posted the earlier one. 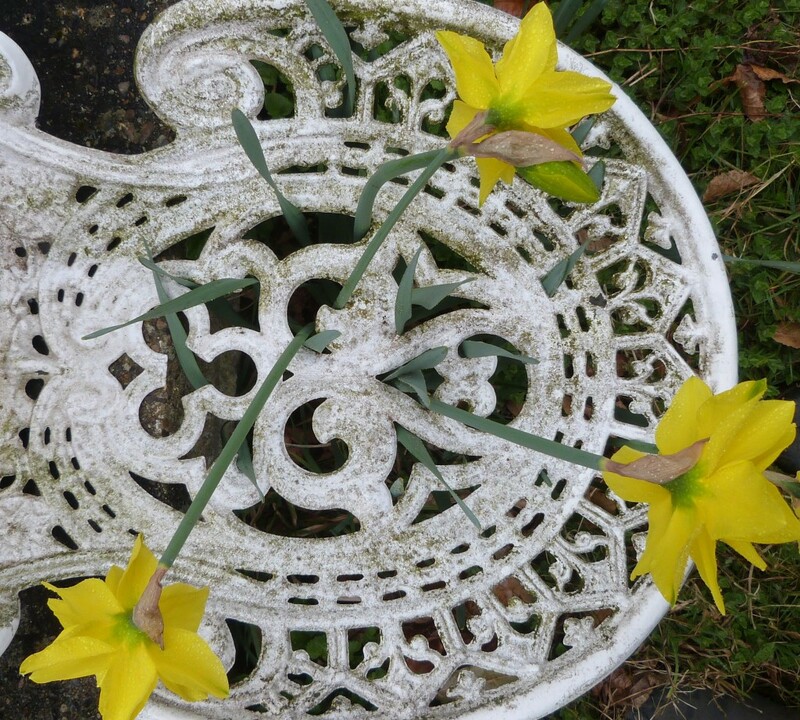 Love Daffs, did they grow through the chair? You can never keep a plant down!? Thanks, the photo I took a couple of weeks ago when they were in bud, I think was better. Their stems were shorter, so you could only see the middle of the chair back. Ho hum! Did you place the chair there or did they grown through? The chair had blown over in the wind, but it was too late to right it when I saw the daffs growing through it. Have been waiting for a couple of weeks for the daffs to flower, but the original shots, I think, was better because the stems were that much shorter so you could only see the central pattern in the back of the chair. Ah well, bad call! Tee hee hee. Thanks for popping by. Yes, it’s about time! 17 degrees today, but apparently it’s getting colder again at the end of the week. Quite. Hadn’t the heart to right the chair after the winds, so will wait till the daffs have gone over. Thanks for popping by. I like this pic. Old mixed with new. Thanks for popping by and commenting, much appreciated. 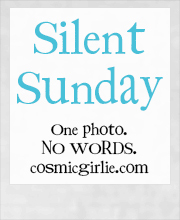 Love, really love this picture! What a lovely spring time picture! Very pretty. I love daffodils and they do tend to grow just about anywhere they feel like! Absolutely, hadn’t the heart to right the chair once they started growing through it! Thanks for the visit, much appreciated. how fab! when they need to grow they need to grow!